Tomato growers have many options when it comes to fertilizing their tomato plants. Chemical fertilizers are fast acting but can burn tender plants and leach nitrogen and salts into the environment. As a result, many gardeners are seeking natural ways to fertilize their tomatoes. Fortunately, natural fertilizer can be found in many forms. While natural fertilizers are not as fast acting as chemical fertilizers, they can be well worth the effort. According to the Colorado State University Extension Service, natural or organic fertilizers are derived from plant or animal matter and must contain at least minimum percentages of nitrogen, phosphate and potash. General-purpose organic fertilizers are readily available at gardening centers and through the Internet in granular, powder and liquid formulas. Cottonseed Meal: High in nitrogen. Look for products labeled pesticide-free. Bat Guano: Depending on the processing method, bat guano (bat feces) is high in either nitrogen or phosphorous. Fish-Based Products: Available as fish emulsion, enzymatically digested fish liquid and fish meal. Seaweed-Based Products: Available in kelp meal, kelp powder and liquid kelp. 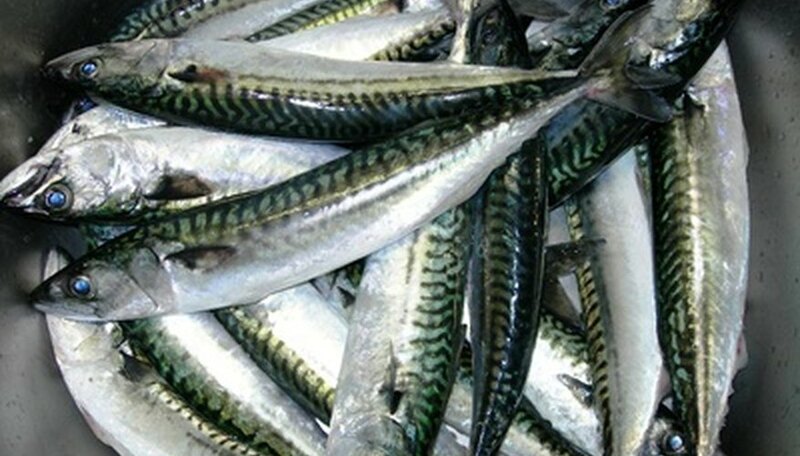 All types contain micronutrients and are often used in conjunction with fish emulsions. In addition to purchasing natural fertilizers, you can also use common household items to fertilize your tomatoes. Creating your own compost pile is an excellent way to recycle organic materials such as leaves, grass clippings and vegetable peelings into a nutrient-rich soil amendment. Some organic gardeners add crushed eggshells or hair (from shedding pets or hairbrushes) to the holes before planting their tomatoes. Eggshells provide calcium, which can help prevent blossom-end rot (dark, sunken spots at the blossom end of the fruit). Hair is composed of keratin and releases nitrogen gradually as it decomposes. 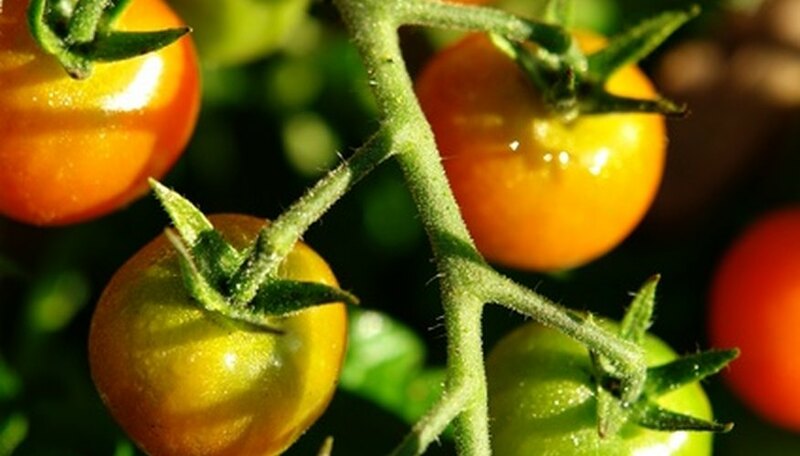 Tomatoes prefer soil that is rich in organic matter. Organic matter such as compost or rotted manure enhances soil drainage and provides some natural fertilization. Because organic matter must decompose before it begins releasing nutrients, you should work it into the soil several months in advance of planting. Depending on the amount of organic matter in the soil, tomatoes generally require medium amounts of additional fertilizer. The Texas Gardener recommends starting tomato transplants by working 2 tbsp. each cottonseed meal and fish meal into the bottom of the hole before planting. Then use a diluted solution of seaweed and fish emulsion to water the roots and spray foliage about once per week. Once the first blossoms appear, work in 1/2 cup of cottonseed meal or a commercially available organic fertilizer such as 8-2-4 in a circle around the roots and water in thoroughly.